Curiosity’s latest mission is to understand the geological composition and origin of the dunes. The rover has already uncovered a lot of information in the dusty depths of one of the Mars’s most intriguing formations. The result is a gorgeous photo that turns the red planet into a sea of yellow rock and sky. As of March 8, Curiosity was traversing the dark sands of the Bagnolds, collecting samples and taking images of the area. This image was created by graphic designer and space enthusiast Jason Major, by stitching together five images from Curiosity. The Bagnold Dunes — named after a British commander in WWII who was considered a pioneer of desert exploration — are located near the northwestern foothills of the 3-mile-high Mount Sharp, the tallest mountain on Mars. Mars dunes have much larger and deeper ripples than dunes Earth. But, scientists do believe wind weathers and shapes these mobile dunes over time, just like on Earth. In 2015, NASA reported that the dunes may be shifting up to three feet per Earth year. A panorama view of the Bagnold Dunes. 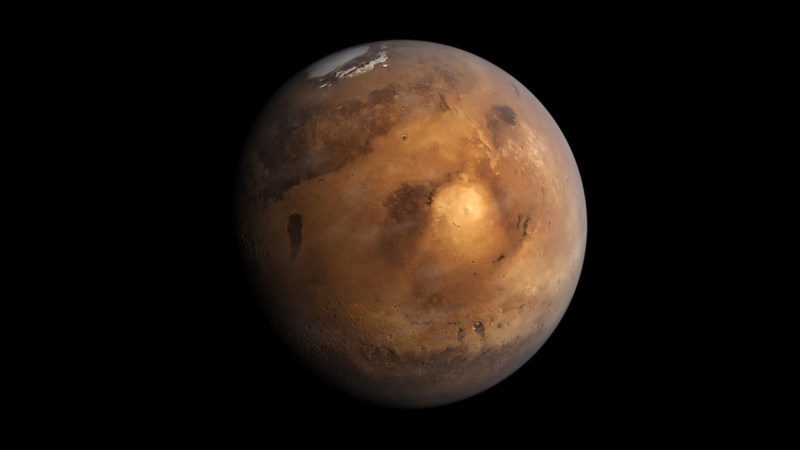 Mars also doesn’t have as intense winds as Earth, mostly because the planet lacks a dense atmosphere. But, during “summer” time on Mars — which is about six months long in Earth time — the sun heats up the surface and in a process of convection, causes air to rise. The Gale Crater region, where Mount Sharp is located, is full of this kind of activity. Back in February 2017, curiosity caught footage of “Dust Devils”, smaller tornado-like wisps, in the area. Scientists believe this wind is influenced by the mountain, which might be changing the directions of the wind and helping form the dunes, ripples, and other sandy features.